These modes of transport are inherently more dangerous as a result of their exposure. Mopeds and scooters are motorized vehicles with more power than a traditional bicycle and less power than a motorcycle. Their lack of power and exposed design leaves them vulnerable to collisions with other vehicles. While mopeds and scooters often can’t travel faster than 30 miles per hour, they share the road with much larger vehicles that can travel at much higher speeds. When a scooter or moped collides with a full-sized car, the results can be disastrous. Generally, car and truck drivers are looking out for each other. That isn’t to say they don’t care about other drivers, but that they aren’t used to seeing them on the road. There are even reports of instances when a scooter driver makes eye contact with a car driver but they still end up in a collision. Drivers can see mopeds and scooters without truly registering that they are there. Since we drive so often, many drivers go into a sort of automatic state and rely on the instincts they have built from years of driving to get them home. Unfortunately, this can result in a collision with elements they aren’t expecting on the road, such as scooters and mopeds. If you have been involved in an accident, it’s best to contact an auto accident lawyer in Stockton to learn what legal course of actions you can take. Personal injury is a type of civil law when a citizen brings a legal action against an individual, business, or government entity due to injuries incurred. The injuries the victim has must be shown to be due to the intentional or negligent acts of the responsible party. 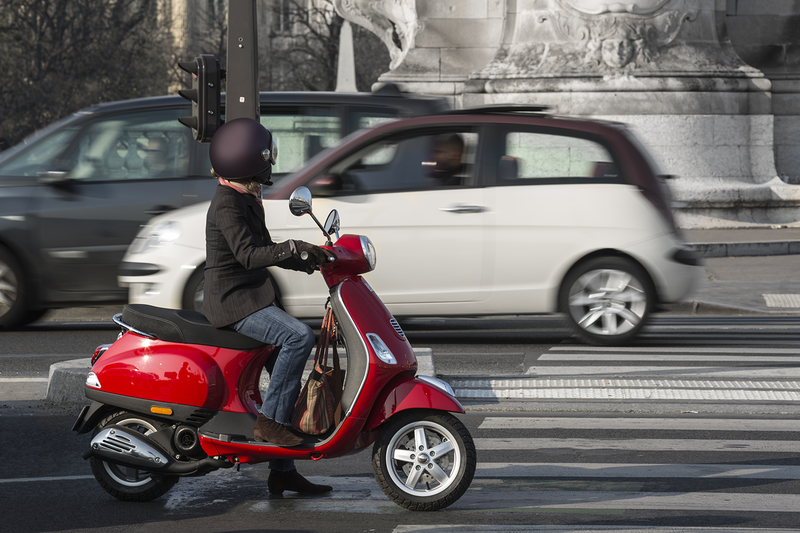 In the case of a moped or scooter injury, it’s likely there would have to be an investigation to determine who was at fault for the collision. The state of California has a legal framework for personal injury cases called “comparative fault.” This means that different groups or people can be determined to be partially at fault. Each individual would be financially liable for the proportion of damages equal to the proportion of fault. This means that if two people were in a car collision and person A was determined to be 30% at fault while person B was 70% at fault, person A would have to cover 30 of damages while person B would have to covers 70%. Whenever a car collision occurs, insurance companies are bound to become involved. These are large, powerful companies that deal with these instances all the time. It’s important to realize, no matter how much the representative may insist the opposite, these companies are not your friends. They are for-profit entities that want to spend the least amount of money. It’s important to get your own legal representation so you aren’t taken advantage of. Even if you don’t intend to go to court, having an attorney act as your liaison with insurance companies gives you a sense of authority. And if you do intend to seek compensation from others involved in the collision, having an experienced auto accident lawyer in Stockton on your team can help you get the compensation you deserve. A personal injury can be devastating and stressful for you and your loved ones. At Sadiq Law Firm, we understand how personal injuries can alter your life for good. With our experience handling all types of personal injury cases, you can trust our attorneys to help you get through any case you’re facing. Give us a call at (209) 943-0000 to speak to an auto accident lawyer in Stockton today.